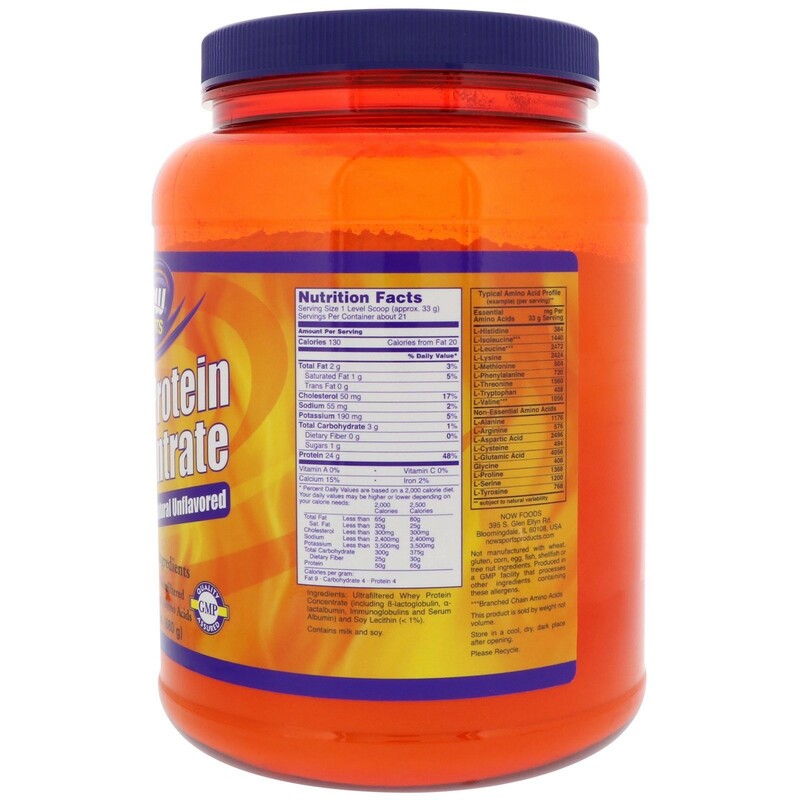 Other Ingredients Ultrafiltered Whey Protein concentrate (including B-lactoglobulin, a-lactalbumin, immunoglobulins and serum albumin) and soy lecithin (< 1%).Contains milk and soy.Not manufactured with wheat, gluten, corn, egg, fish, shellfish or tree nut ingredients. Produced in a GMP facility that processes other ingredients containing these allergens. 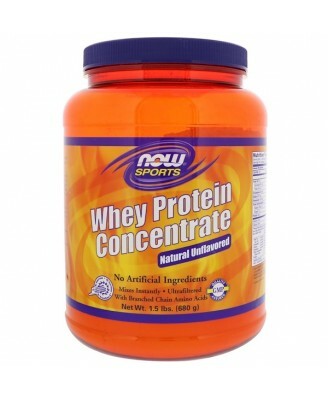 NOW Whey Protein Concentrate is a high quality protein that is both bioavailable and easily digested. 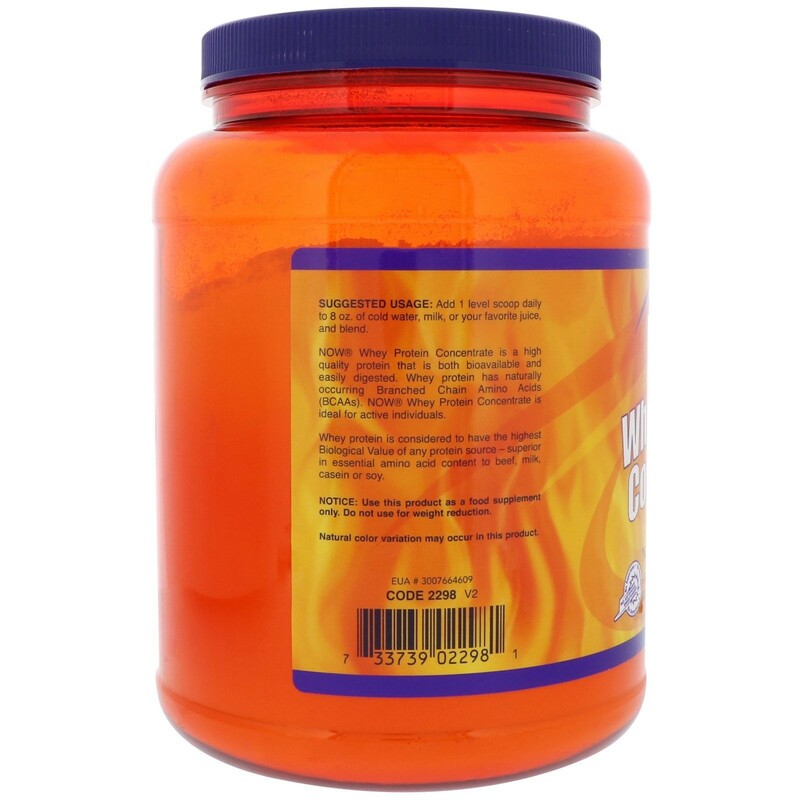 Whey protein has naturally occurring Branched Chain Amino Acids (BCAAs). 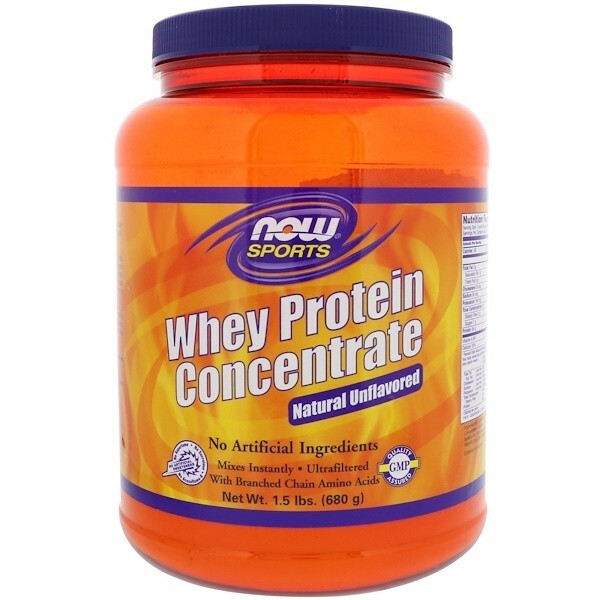 Now Whey Protein Concentrate is ideal for active individuals.Whey protein is considered to have the highest Biological Value of any protein source - superior in essential amino acid content to beef, milk, casein or soy. Add 1 level scoop daily to 8 oz of cold water, milk, or your favorite juice, and blend. Notice: Use this product as a food supplement only. Do not use for weight reduction. Natural color variation may occur in this product. This product is sold by weight not volume. Store in a cool, dry place after opening.